About Fastway: Fastway Trailer is a division of Progress Mfg. Fastway's greatest satisfaction as a company is to hear what positive impact they have on their customers ability to work and play. Every day's focus is to improve the Fastway Weight Distribution Hitch to save you time and effort and it's made stronger and most dependable. The Fastway e2 hitch provides a great and safe towing experience. 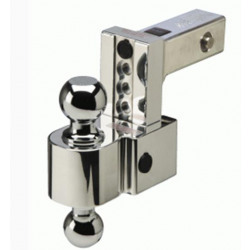 Old chain-style hitches don’t provide built-in sway control and add-ons are never as easy to mount and remove as necessary when backing up or making tight turns. You gain permanent sway control with Fastway e2 hitch's rigid brackets, so you can hit the road and enjoy the trip with peace of mind. Hitchweb is proud to support Fastway hitches in Canada. Fastway weight distribution have the Integrated Sway Control™ built into the hitch; so you have sway control engaged whenever you are ready to tow. The e2™ applies special sway control brackets instead of old ‘add-on’ sway bars or cam type attachments that are added to chain style hitches. Integrated sway control offers many benefits including no backing or turning restrictions, and simple and easy to understand adjustments. Built with sway control in mind, the e2™ hitch is better than a chain style hitch with add-on sway control devices. The special rigid sway control brackets provide the convenience of integrated Sway Control™ through two points of linear steel on steel friction. The e2's spring arms rest on top of a bare metal bracket instead of the spring arm swinging back and forth at the bottom of a chain. This improvement alone significantly reduces driver fatigue and stress while towing, not to mention making it easier to use than chain style hitches on the market. 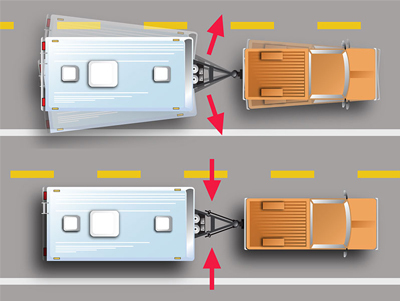 Without a weight distribution system, towing a trailer can become hazerdous, where drivers can experience highway hop, loss of steering control, and sagging of the tow vehicle. 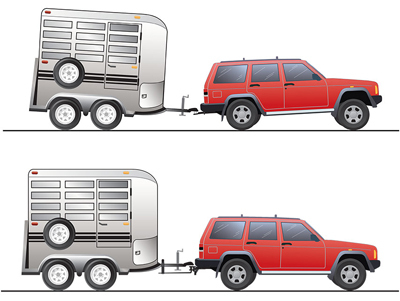 The e2 hitch changes the way the tow vehicle and trailer attach together. It creates a link between them, which in turn helps them work together like one unit instead of two. This distributes the weight more evenly to the axles of both vehicles. When set up properly, the wheels will stay more firmly planted on the ground. What is an A-Frame Trailer Jack? What is a Weight Distribution Hitch?